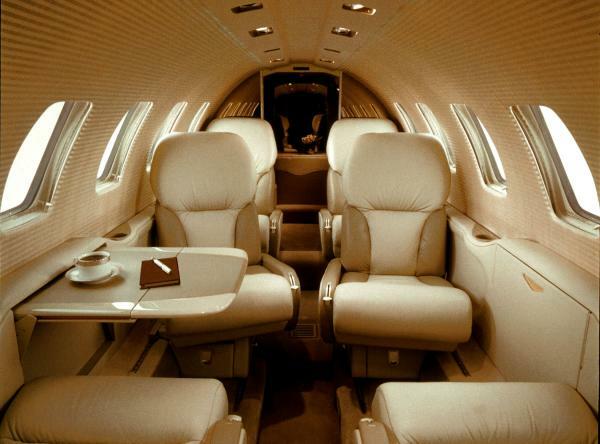 The Citation Bravo 550 charter jet falls into the light jet category, yet still has the capacity to transport around 7 passengers in plush comfort. Passengers love the leather swiveling captains chairs and the plethora of windows that open up the cabin. Exceptional soundproofing makes this private jet an ideal forum to conduct in-flight business meetings, and there is the luxury of a full lavatory. All preparations were made to ensure that a proper meeting or long flight would be manageable in extreme comfort with plenty of space and every amenity. 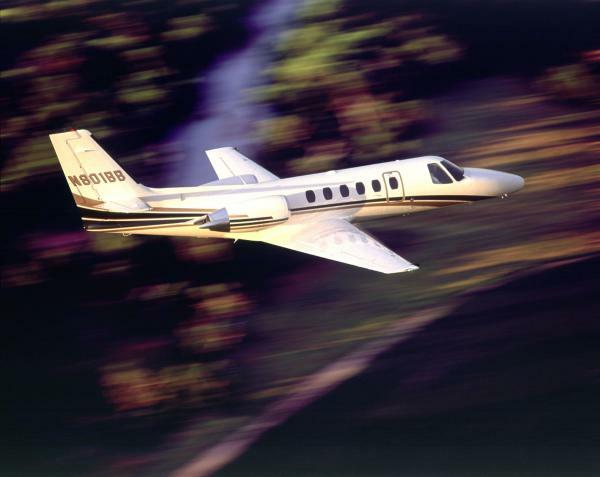 The Citation Bravo can take off from runways as short at 3,000 feet, giving executives more airports to choose from. This alleviates the stress of long commutes between acceptable airports and wasted time. Not to mention the frustration saved from avoiding commercial airline travel, where entire days can be taken from you waiting in long lines and enduring the hassles of increasingly stringent security measures, cancellations or delays. The advanced communication technologies aboard the Citation Bravo allow you make this private jet your office in the sky. 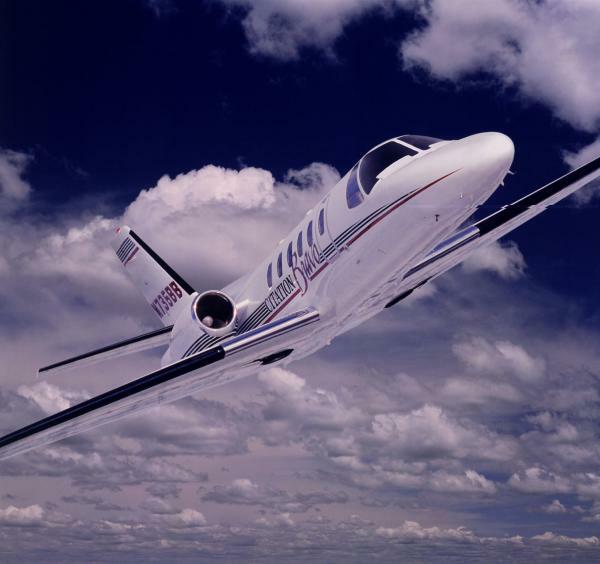 Two Pratt and Whitney PW530A jet engines thrust this private jet to a maximum cruising speed of over 430 miles per hour, offering busy executives the gift of incredible time efficiency. We know how important and expensive your time can be, this is a way to divide it as you see fit and profitable. The Citation Bravo has a range of over 1340 nm allowing non-stop travel between Chicago on a private jet and New York City. When you are looking to the charter a private jet in the light category, the Citation Bravo will deliver quality and performance time and time again.